Enjoy delicious brews, chef stations and dramatic views with the new Rooftop Beer Garden series at Hotel Valley Ho. 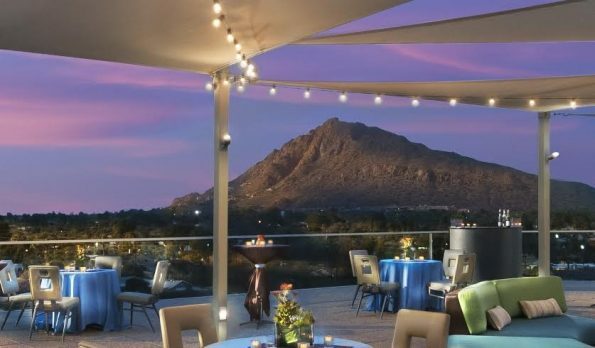 Held on the eighth-floor Sky Line Rooftop overlooking Camelback Mountain, each event will feature a different theme designed to pair perfectly with the featured brewery. At the first event on Thursday, November 17, tailgating is elevated to the next level with a broadcast of the Panthers-Saints game and DJ entertainment during commercials and halftime. Visit the tasting station to explore beers from local SunUp Brewing Co., and enjoy all the featured pours throughout the evening. Grab a seat at one of the communal tables and graze at your leisure from the delicious chef stations. Football fare crafted by the hotel’s signature restaurant ZuZu includes Lobster Corndogs, Bratwurst, Skewered-Bacon-Wrapped Top Sirloin and more.